Aberdeen and Hearts will tell the Scottish FA next month that they are ready to help pay for video assistant referees and full-time referees. The governing body has invited clubs to meet match officials for talks. Aberdeen chairman Stewart Milne has told BBC Scotland that VAR and full-time referees should be seen “as an investment rather than a cost”. And Hearts owner Ann Budge thinks “a number of clubs” would be willing to help finance such projects. “The ultimate objective should be to help referees to be able to do their job more easily,” she told BBC Scotland. Budge pointed out that one such summit involving clubs and referees has already been held during a campaign in which officials have come under increasing scrutiny over a series of controversial decisions. It also follows the trial use of VAR during this summer’s World Cup and the decision of several European leagues, including England, to introduce the technology next season. BT Sport has also offered to allow the Scottish Professional Football League to use its cameras at live games for a trial. Budge says she had been asking the SFA to consider VAR since she took over Hearts in 2014, but that cost has always been viewed as the barrier. “Now I think there is a genuine desire,” she says. “Everybody knows we have to do something to help the referees and VAR is one thing, but there are other things. Milne is also hoping that next month’s meeting at Hampden will pave the way to a more “transparent” disciplinary system. “We can’t say we want to have referees full-time without recognising the current level we are operating at is insufficient,” he says. Former referee Kenny Clark recently warned that Scotland risked becoming “a backwater” if it fell behind other countries introducing VAR. 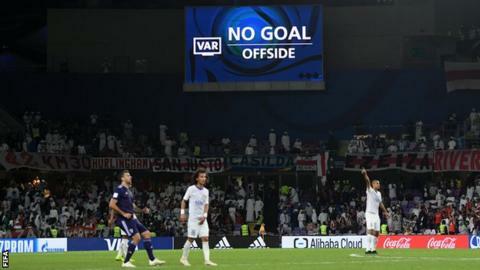 However, Hugh Dallas, deputy head of referees at European governing body Uefa, pointed out that each country needed to trial VAR “offline” for a period before its introduction and that Scotland would therefore probably not have time to bring it in next season.